Sending an email with a direct link to the online store makes it super easy for parents to purchase membership, make donations, etc. Creating an email to the online store is just like creating any standard email blast. 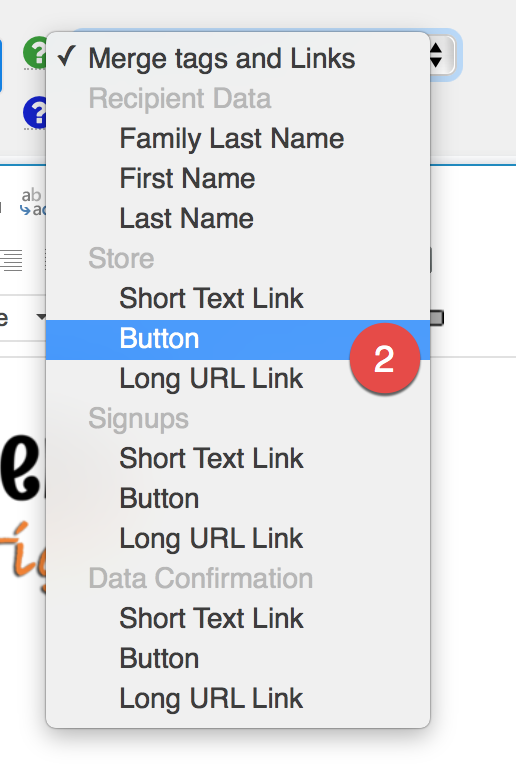 The difference is you'll use the Link and Merge Tag feature to add a link to the family's private store page. This link "knows" who is purchasing and automatically credits the family with the purchase. Any parent or student dropdown for product selection is automatically populated with the respective individual names. Tip: Parents can forward their store link to anyone to get purchases credited to their family and students. Great for those donation drives! Faculty can do the same. Put in your text and place the cursor where you want the link to appear. From the Links and Merge Tags dropdown select Store Link. Go to Email / Edit and Send. First you'll want to send a test to yourself or others on your team by using the Sent to Selected Parents option. When you are ready to send to all parents (and/or faculty), from the Send to button click on Select a List. Send to the group you want to reach such as all parents or only a grade or class.